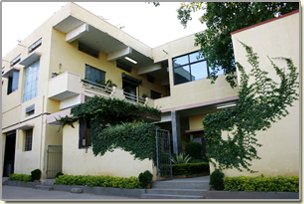 Rashmi Industries , a pioneer in the field of renewable energy since 1997, actively undertakes design, development, Manufacture, Supply, Installation and Commissioning of the complete range of Solar Thermal System, Solar Photovoltaic Power Generating System, Solar Wind Hybrid system and Balance of Systems (BOS). Recognizing this, Rashmi an ISO 9001:2008, ISO 14001:2004 & OHSAS 18001:2007 company is relentlessly pursuing a mission of promoting Renewable energy for multipurpose use which specializes in providing Comprehensive services from inception to completion of all types of Solar Energy Projects, be it for Industrial, Institutional, Commercial, Domestic, also tailor made systems to suit individual applications - thus contributing to a green, clean and sustainable energy for generations to come. Rashmi also offers turnkey project execution services like Site visits, Energy audits & Techno-commercial feasibility studies, and assured professional after-sales-services. Strive hard each day to deliver the best to the society as a responsible corporate citizen with a missionary zeal, while aiming for excellence in conduct of business based on a respectable value system and an organizational structure that is self reliant, efficient and evolutionary. Create and market products and services to improve quality of life as an active player in the solar energy sector with a special emphasis on the stability of earnings and long term prosperity.